Hudson Bay (Hbc) is implementing changes to their purchase order follow-up process intended to improve mutual efficiency and effectiveness. These changes extend to launching a new vendor requested purchase order change process and minor modifications to their compliance program. Hbc expects that orders generated through our Automatic Replenishment (A/R) system for mutually agreed upon programs will be delivered on time and complete. As such, as of May 12th, 2008, we will no longer perform follow-up calls on A/R orders. As detailed in our Vendor Manual, all other orders are to have delivery appointments booked no later than five days prior to the start of the ship window. This timing helps us to balance our inbound flow and plan the allocation of logistics resources. At the start of June, our appointment scheduling system will be updated to send out automatic alerts each day starting 5 days prior to the ship window, to notify you that an appointment has not yet been booked. In the interim, you will continue to receive alerts as you do today. Going forward, Hbc will only contact you if no appointment has been booked for an order which has entered into its shipping window. To support this change, Hbc is implementing a new compliance charge of $200 per purchase order where the Not Before Date has been reached and no appointment has been booked. This charge does not apply to orders generated by our A/R system. You will be sent an alert each time a charge has been applied. This new compliance charge will take effect on June 2, 2008 and details of the charge will be available in the compliance section of our appointment scheduling system. Simultaneously on June 2, 2008, Hbc is reducing the compliance charge on orders that arrive at our distribution centre in violation of our shipping guidelines. Currently, the charge is the lesser of $500 per hour or 10% of the cost of the purchase order. The new charge will be reduced to the lesser of $200 per hour or 10% of the cost of the purchase order. Beginning May 12, 2008, Hbc is implementing a new process for vendor requested changes to purchases orders. This process will apply for domestic and U.S.A. based vendors and will not apply to orders generated by our A/R system as no changes are permitted on these orders. To request a change to a purchase order, this new process requires that our vendors complete one of two possible request forms (see below) and email that form to the appropriate address at Hbc. The two forms will be available on the Hbc EDI website http://hbcediextranet.hbc.com/ on a new tab titled “Forms & Instructions” as of May 12, 2008. Compliance charges may be applied as appropriate. For Home Outfitters and all Bay/Zellers product areas other than Soft Home: Forms 1 & 2 should be emailed to your current contact. For Bay/Zellers Soft Home (see below for a listing of product lines): Form 1 is to be emailed to your buyer Form 2 is to be email to the Soft Home Triage (email address will be on the form). 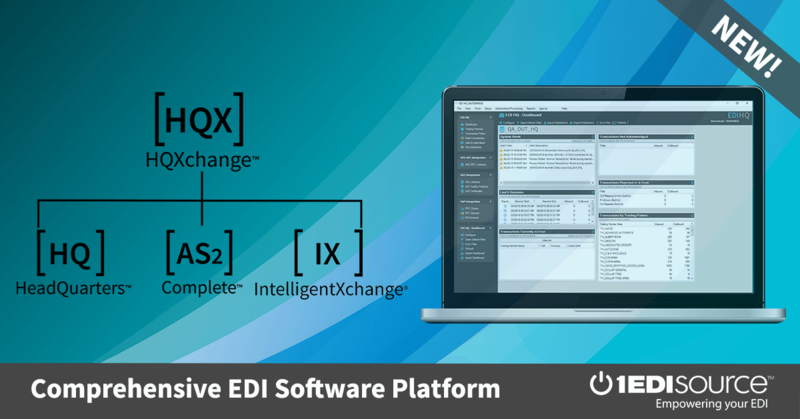 Contact 1 EDI Source today to learn how you can quickly and seamlessly become EDI compliant with Hudson Bay and any other trading partner.